Thinking of purchasing a fixer upper in the Slopes? If you’re looking at a home in the census tract indicated on the map below, you could qualify for a combination construction mortgage loan to purchase and renovate the property. 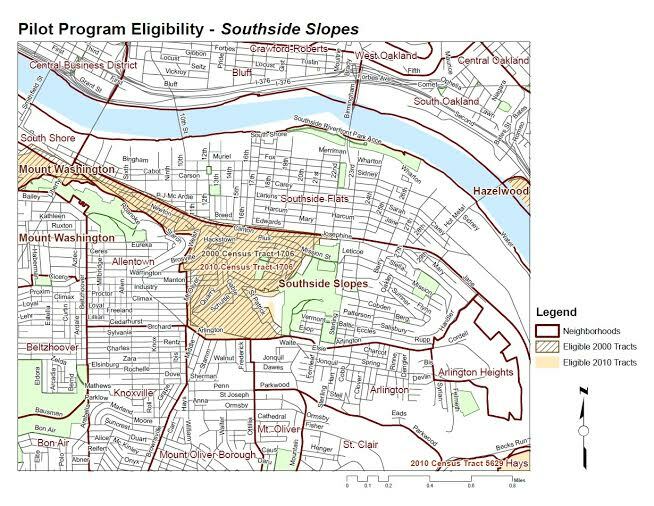 For more information contact Brian Oswald at brian.oswald@southsideslopes.org, and he can direct you to more information regarding the CARL Program. One Response to Calling Prospective Home Buyers! I plan on helping out on the 4th to clean up Brosville but we really need to do a trash cleanup on Arlington Ave. Its really bad especially when you make the turn onto Arlington by the Daily Mart. I think for this one though we would need a big group of volunteers. If there is anything I can do to help let me know.